The Dubai Financial Services Authority (DFSA) has granted a category 3C fund management licence to Farringdon Asset Management, International Adviser can reveal. Farringdon’s branch office will be based in the Dubai International Financial Centre (DIFC) and is headed up by Stuart Yeomans, who was formerly chief executive of Farringdon Group in Malaysia. The news comes just two weeks after the asset management firm announced it had passed the $1bn (£761m, €887m) AUM mark and launched a wealth management firm in Singapore. 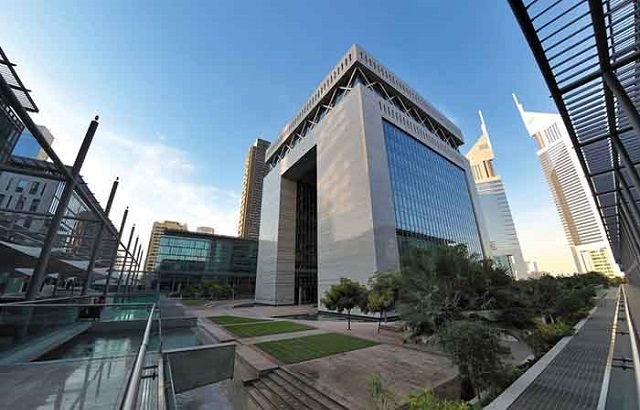 Having spoken with relationship managers on the ground, Yeomans said: “The common consensus was that the DIFC was the place to set up for quality and regulation. Moving forward, he will speak to private bankers and financial consultants throughout the region and “look to bring the right candidates into our growing company”. “One major factor that sets us apart is that we will be one of the only players in town offering full partnership within the firm for the right people. I feel that when a business revolves around one person at the top there is too much focus on building their wealth, as opposed to the end client. “Our model is focused on the right reliable close-knit team that performs for their colleagues and clients,” added Yeomans, who was named in International Adviser‘s IA 100. Farringdon Group is looking to replicate the success it has experienced in Singapore and south-east Asia, said Martin Young, chief executive of Farringdon Asset Management. “The DIFC and Dubai are increasingly seen as one of the world’s major financial hubs and we believe, given our expertise in the high net worth and ultra-high net worth space, we can offer a unique service level to clients in the Gulf Cooperation Council and Middle East and North Africa region. “The regulatory regime offered by DFSA is second-to-none in its stringent approach and we believe that both clients and staff will increasingly look to have their assets managed by DFSA-regulated firms. “These needs will grow exponentially as insurance brokers and consultants are gradually removed from their ability to advise on and manage assets under the increased burden of regulations,” Young added. Farringdon Asset Management would like to thank Kirsten Hastings, editor of international adviser for joining us at our 1 billion dollar party and for this article.